Huawei has recently released a bunch of smartphones with near bezel-less displays and looks like it’s sub-brand is also ready to enter this market with the Huawei Honor 7X. It’s definitely a big upgrade from the Huawei Honor 6X that was released back in October, 2016. 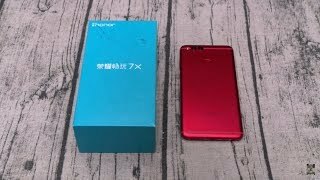 To find out what’s inside this upcoming phone and the Huawei Honor 7X Nigeria price, continue reading. There are already four Huawei smartphones with near bezel-less displays and the Huawei Honor 7X looks quite similar to those phones with a 5.93-inch screen showing 407ppi of pixel density. The display is definitely bigger than the one we got in the Huawei Honor 6X and this one shows more resolution as well: 2160 x 1080 pixels resolution. We get this display with a 2.5D glass and the phone will be running Android 7.0 Nougat right out of the box with a mix of EMUI 5.1. It’s slightly bigger than its predecessor but is thinner as well and can be found in three different colors: gold, black and blue. The rear camera got a boost and is now a combination of a 16-megapixel camera and a 2-megapixel camera. Dual cameras are nothing new for Huawei phones but it’s an improvement from the Huawei Honor 6X. It will be capable of capturing 1080p videos at 30fps so there is nothing new here. The front camera remains the same on paper which is an 8-megapixel camera. It’s capable of capturing 1080p videos as well but there is no LED flash included with the camera. For those of you who are looking for a top-notch camera phone, there is the latest iPhone 8 and Samsung Galaxy S8 that you can check out. It’s important to note that both of these phones are expensive compared to the Huawei Honor 7X Nigeria price. To make sure users enjoy a smooth Android 7.0 Nougat experience, the phone comes with HiSilicon Kirin 659 octa-core processor paired with 4GB of RAM. There are three different storage options to choose from: 32GB, 64GB and 128GB. Huawei didn’t change the battery size which is surprising as the phone is now packing a bigger display, it’s a 3340mAh non-removable battery. There is no fast charging as well which is another thing to keep in mind. Other notable features of this phone are: DTS audio, Bluetooth 4.1, GPS, microUSB 2.0 port, FM radio, Wi-Fi 802.11 b/g/n and dual-SIM support. There is also the Asus Zenfone Max 2016 and Lenovo Vibe p1 if you want a phone with big battery. The Huawei Honor 7X will be available for about ₦ 94400 . 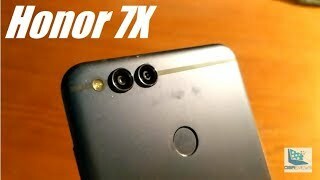 It’s already available in China but we will have to wait for a global or Huawei Honor 7X release date Nigeria as Huawei didn’t announce any official plan yet. 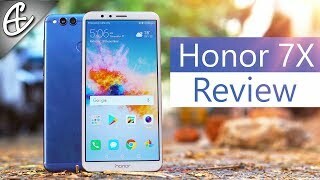 The honor 7x Mobile Phone is manufactured by Huawei and was added around October 2017 and is part of the Huawei Honor 7X series.